Staying Alive is an application developed by AEDMAP in partnership with AJILA association, which lists more than 120,000 defibrillators worldwide. 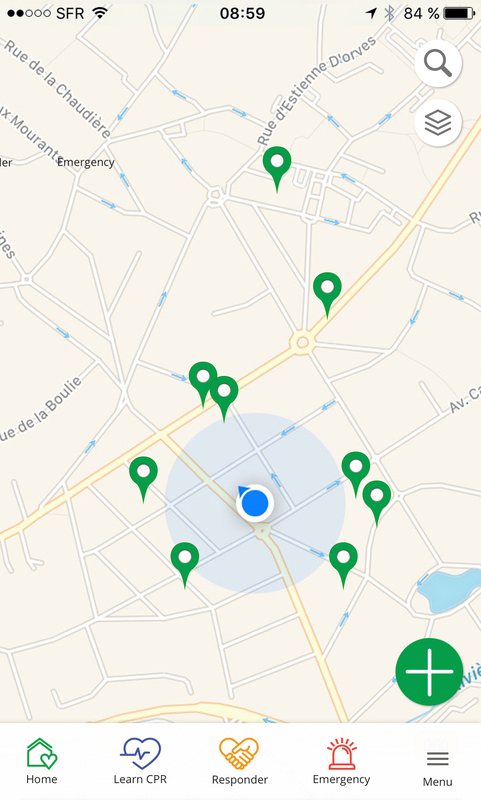 It is available for free on iOS and Android. The application has been downloaded by more than 1.2 million users and is available in 18 languages. 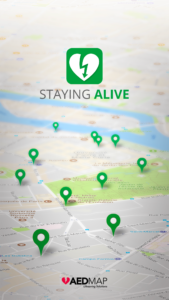 All the monitored defibrillators are shared in Staying Alive App.